So you decided you wanted to grow Cannabis at home - excellent! There are many advantages to growing marijuana at home, but you can say that with a relatively small investment you can produce higher quality cannabis flowers, at a lower cost, and most importantly - without depending on the "direction" but on your own. Before we go to purchase equipment, we must make sure that we have a suitable place to grow the plant that will allow cannabis to develop in prosperity. Cannabis can be grown almost anywhere, too Small computer cases Can work - but generally it is desirable to have in the tumor space a surface area of ​​at least 50 cm2 with a minimum height of 50 cm, so it will be possible toTame the growth of cannabis And handle it comfortably. The growth device can be anything that has a space in the appropriate volume, and can be fitted with accessories such as small fans, bellows or growth bulbs. The most common facilities for growing cannabis will probably be an old wooden cabinet or a dedicated cultivation tent. pay attention - It is not recommended to use a cabinet made of plastic or other materials with high combustion potential. 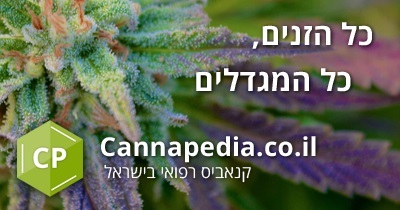 Before starting the Beginner's Guide, please note that anyone interested in additional guides should visit the 'Beginner Growth Guides','Advanced growth guides‘, In the forum of experts For advice and guidance, and In the book of cannabis The first Hebrew. water - We have a tap and this will provide us in the meantime. Of land - In every nursery there is land for growing potted plants / seedlings - it will do the job. light - Here the matter becomes a bit expensive and this is the obstacle where some of the beginner towers fall. Many people think to themselves, "I'll grow with a fluorescent light bulb," but are disappointed to find out at the end of the process that long months of investment and waiting have ended with a not very impressive flowering. One that is not even worth the investment. Therefore, a good bulb for growing cannabis is essential and essential. 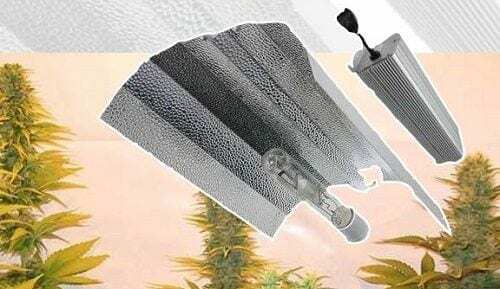 There are two main types used by professional cannabis growers - each suitable for another period in the growth stages - but since we are still "beginners" and are not sure whether to invest so much money, we will buy one lamp with which we will go all the way. The lamp is called Light bulb (High pressure sodium). 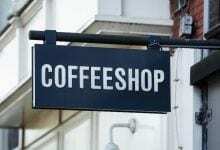 Or in English - HPS. 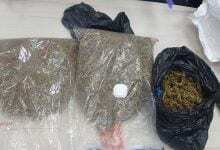 For the purpose of growing cannabis in the interior of 40-60 Sgt. We will need lamps of 250w to 400w. These bulbs cost between 200 and 500 NIS and can be found Hydro stores Shops for Cannabis Towers. So now that we have the minimum required equipment, let's move on to the interesting question: how cannabis is grown at home. stage sprouting - lasting from one to two weeks. stage growth - which lasts from one to two months or more. stage Flowering - which lasts about two months. After we have purchased (or received) quality seeds (it is very important that they be of high quality if you can know in advance), and before putting the seed into the soil - Recommended to sprout it First, wait for a little white "tail" (root) to emerge. We all remember how in the garden we sprouted chickpeas and beans on cotton wool. So here it is exactly the same idea. 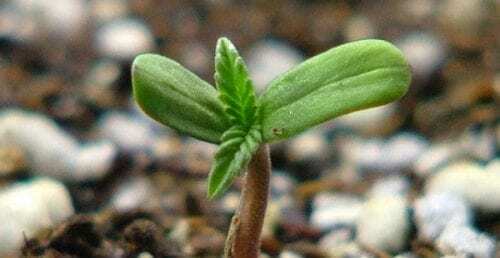 There is a variety METHODS FOR GENERATING Cannabis Seeds And there are those who do not sprout at all and just put the seed into the ground and let it do its part. The safe way is simple Take a paper towel, wet it a little and on it lay the seeds. 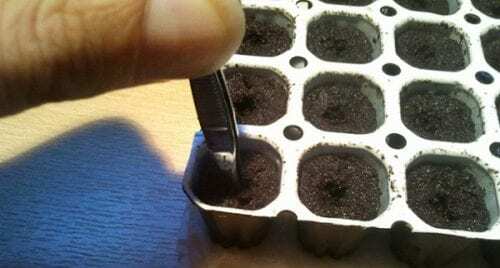 After the root had decided to look at the seed at last, take a Styrofoam cup and make a few holes in the bottom. Fill it with soil (good soil that you buy in every nursery, not just something you picked up from the street) and do with your finger or a small hole pencil in the center of the glass at a depth of 2-3. Now let's take gently The seed will be inserted into the hole when the root is down (the punctilators will say that it is best to place the root at an angle of 45 degrees down, but this is not critical). Now we will cover the seed in the ground. It is important to make sure that the seed is well covered on the one hand but it is more important not to over-compress the soil covering the seed so as not to choke and seal it. Spread the soil over the germ carefully and gently, leaving the red cover מאוורר. After we moved the germ to the ground, we kissed a little water (for moisture, do not flood the ground with water!). At this point we will plant the sapling under a lighted lamp 24 continuous hours Every day. A simple fluorescent bulb will do the work at this initial stage, but in a few days we will have to start working with more serious bulbs. 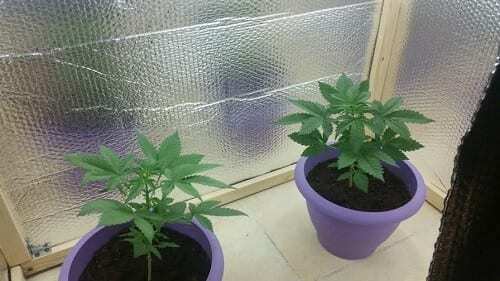 In a few days the plant will emerge from the ground and you may think that you planted another kind of plant without intention, because the first leaves of cannabis do not look like the marijuana leaves famous from the pictures - these grow only later. 10-14 A few days after the plant has peeked out of the ground, we will move it to a larger box or to a bucket with holes in the bottom (between 4-6 and LOR will do the job). Note that all the ground in the Styrofoam is damp enough before transferring the sapling from the Styrofoam Cup - so that it will not fall apart during transfer to the vase. Turn the glass over and give gentle blows to the bottom so that the seedling will slide out. Now put the plant in the new home and drink a little water. So far the germination period. Now we are starting to play in the big field: the stages of growth and blooming. 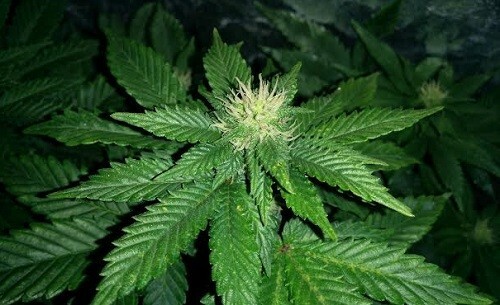 The growth period of cannabis may last from two to two months or more. It all depends on how much space you have in the closet or the growing room and what size of plant you are aiming at. In any case it is recommended to be patient, it pays off and big! The more time you can grow under the lamp No rash, So it will be stronger when it reaches the flowering stage. The main difference between the growth stage and the flowering stage is the cycle of light. During the growth period, the plant should be provided with constant and continuous light 24 hours 7 days per week (Or alternatively 18 light hours and 6 dark hours). During this period, the plant will develop a complex root system, a sturdy stem and strong branches that will help it retain the juicy flowers that it is about to release later. 1. lighting - The special bulbs are very hot. Although it is important that the plant be as close as possible to the bulb to take advantage of as much light as it produces, too much heat may burn the plant! The simplest method is to put your hand at a certain point under the light bulb for a minute or two. If it's too hot for you it's probably too hot for the plant. Keep a space of at least 15-20 cm between the lamp and the top of the plant And it is most important to keep the bulb up whenever the plant grows (It happens very quickly and the change is felt daily). 2. Drainage of water - It is very important to make sure that there are enough holes at the bottom of the mistress and that the water seeps freely to prevent the accumulation of water in the soil - which will turn into rot and kill the plant. In addition, a certain height should be raised from the ground so as not to clog the holes in the bottom of the window. 3. Watering - The main idea behind watering cannabis is this: When it's not time for watering - do not water at all! When that's the case - watering with all my heart. How much is "heartfelt"? Until water is dripping from the holes at the bottom of the mistress. That way you can be sure that the roots in the lower parts of the earth received their water ration. And how do you know when are Should we water? Just insert a few inches into the ground - if the face is dry - think. If it's even a bit damp, you can wait a little longer. What is important here is to keep the cyclicity of dry / moist soil all along. 4. Ventilation - One of the most important things cannabis needs is a good circulation of air. From the earliest stages of growth it is advisable to place a fan near the plant and see that the leaves of the plant flutter gently in the air. Of course, to make sure that the wind is not strong and does not shake the plant too much, but only slightly ventilates it. Now that we have a beautiful cannabis plant, we have reached the last stage, which is also the most interesting stage: Flowering phase. Now we are beginning to see the fruits of our labor. 12 fixed hours of light and-12 fixed hours of total darkness. Let us emphasize - In growing cannabis it is highly recommended to make sure that in the dark phase, darkness is absolute! A bit of light coming in will disturb and confuse the plant and it may enter a small market at best or get male "bulbuls" at worst - which we certainly do not want to happen. At the flowering stage we are about to discover something else - Is our plant male or female. And why is this important? Because almost all THC (the active ingredient in cannabis) is found in female flowers. With the males we have nothing to do and they can even cause damage to the tumor. It is important to keep the breeding environment completely clean of males because the proximity of male plant to female plant sewed the female and make her invest her power in raising seeds for future generations instead of growing juicy flowers. What we are looking for is a pure flower from a "virgin" female. Such that you can simply put and smoke without any need for early "seeding". Of course, with today's technologies one can be calm. Today there are quite a few cannabis seeds companies offering the customer "Feminized Seeds" tailored to ensure that more than 99% of the plant you are raising will be female. This will save the headache of checking the plant species. 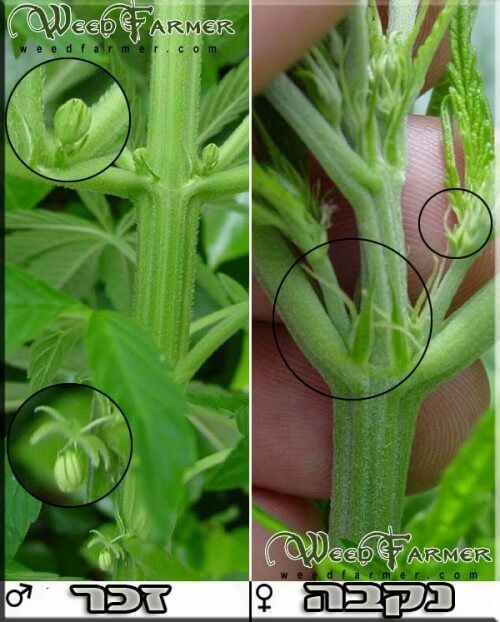 If you have decided to grow Cannabis from regular (not "female") seeds, it is very important to know the difference between the male and the female in order to get rid of the males quickly before fertilizing the females. In order to distinguish between male and female plants, one should look at the armpit of the branches: if the hair is green and white - female. If we see clusters, small sacks like this - the plant is male. After we have confirmed that we have a female we will continue to grow it for 8 to 9 weeks. Sometimes a little less, sometimes a little more. 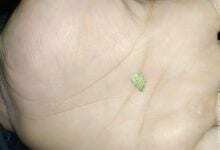 This mainly depends on the conditions of growth and in the plant's oil (Indica usually blooms faster than Sativa). 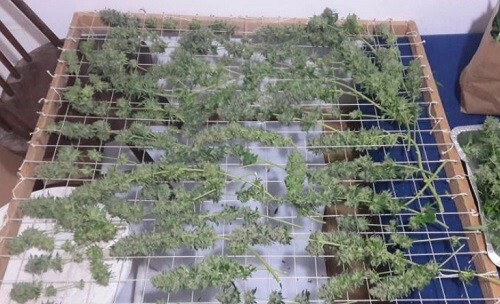 After the flowering process was completed, we actually completed the entire growth process. But before you sit down to enjoy the cannabis, you have to dry it well - this is perhaps the most important step to make perfect produce. How do you know when plants are ready? It is possible to control the nature of the sattelle by early or later removal of the plants and their hanging for drying. This matter is intended for experts and will be left for them. In general, when 70 to 80 of the white hairs of the flowers become brown, it is time to remove the flowers and hang them to dry. To know exactly When to make the cannabis harvest - It is advisable to read the This simple guide. 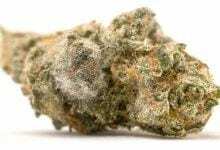 to know How to dry and soften The cannabis in a perfect way - read the Guide to drying and aging. Air circulation - Cannabis Like every plant uses the elements found in the air (especially oxygen and carbon) to perform the photosynthesis, so it is very important to maintain fresh air in the growth area. It is customary to install a small fan (alternatively a blower with a larger pumping power) to ensure the regeneration of air in space. Composition of the soil - As noted at the beginning of the article a fully prepared nursery soil will be sufficient for healthy growth of cannabis. However, many breeders tend to add different materials to the soil mix, in order to improve the texture of the soil and make it more airy (which will facilitate the penetration of the roots), or increase the nutrients in it. 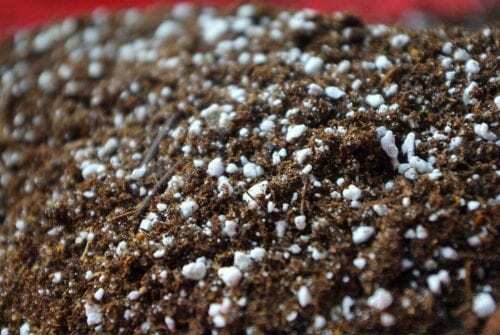 For the purpose of soil ventilation, a substance called "perlite" is added to the mixture - inert material (non-reactive to the environment) and porous made of white granules, possessing high water holding and neutral acidity. The structure of the grains creates large "air holes" that allow a large supply of oxygen to the root area. The standard ratio for mixing perlite with soil ranges from 1: 3 to 1: 5. In terms of nutrients, these substances contain fertilizer in the "Haitian release" that will be available to the plant gradually during growth. Usually, it is compost, a rich organic fertilizer created by the breakdown of organic substances by bacteria and other microorganisms, or humus, which is the final product of the process of decomposition of organic matter occurring in the soil, usually through soil worms. fertilizer - Whether the plant grows in the soil is "enriched" with nutrients or not, cannabis is a fast growing plant with the ability to consume a decent amount of fertilizer - so it is customary to add a "quick release" fertilizer to the irrigation solution that will be immediately available to the plant.